Punjab national bank fraud involves international trade where goods and capital move in and out of country. While the goods move physically, the capital moves (or at times doesn't) through various electronic arrangement between banks. 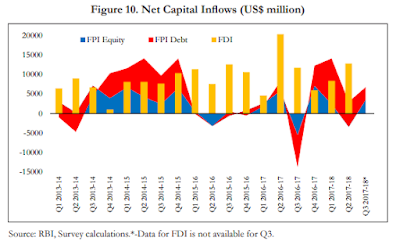 The aim of this post is to enumerate various frauds that have been noticed in this area, and which are linked in some ways to capital controls that India maintains. They wouldn't have occurred but for the myriad capital controls placed on our economy while keeping an open current account. When goods can move free, and capital cannot, one can become a mule for the other. Other than capital controls, money laundering may also be the motive in few of them. This was a common method of evading capital controls and to gain wrongful incentives under various government support programs for exports. The value of goods mentioned on the invoices are manipulated towards nefarious ends. The exports are over-invoiced in order to get hawala money into the country or to get higher amount of drawback or incentives which are based on percentage value of exports. The imports are under-invoiced to avoid customs duty. The import of goods are rarely over invoiced. The above mode has become extinct to a large extent after services trade picked up. The under/over-invoicing of services is far easier to carry out and the possibility of detection is harder. Therefore when it comes to goods, the over invoicing prevails only to get incentives under government of India schemes and the under-invoicing of imports prevails to save customs duty. With the risk management systems getting robust, this method might slowly die a natural death. Based on the undertaking of a local bank, loans can be raised abroad. Over years, Government of India has relaxed the rules for raising capital abroad. However, it still is an area where only established big players can enter. It is not easy to raise money abroad unless backed by a strong corporate presence and good past record. A Tata or an Infosys may raise foreign capital abroad, but a Gitanjali (for all its star studdedness) might struggle. This is where the local bank undertakings/guarantees come in. The local banks usually need collateral, and if this can somehow be bypassed by showing fake assets or corruption, a con job may be pulled. This is how the current PNB scam has taken place. PNB had given the required letter of undertaking though electronic means (SWIFT) and rolled it over after the due period. 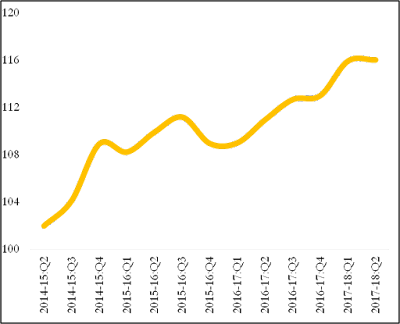 With each cycle, the interest costs added up, leading to ballooning of the amount. While the total amount involved may indeed by around 11000 crore rupees, I believe that if one accounts for the goods in transit, the loss should not be more than one or two cycles of goods being traded. That should ideally be around one sixth of the amount being projected at the maximum. Even this amount comes to around Rs 2000 crore which would be a stiff loss. Round tripping of precious metals and gems is an easy way to achieve two things. One, to transfer money in and out of country at minimal cost, and second, to raise cheap loans linked to exports credit. Usually gold of 24 carat purity is the metal of choice. Gold bars of 24 carats are imported against an advance license by DGFT, which allows the gold bars to be brought in without payment of customs duty, and after doing minimal value addition through melting, gold coins of 24 carats (or crude gold jewelry of 24 carats) are exported out. The exported jewelry/coins are melted back into bars at the foreign location, usually by a related party, and is sent back as fresh consignment of gold bars. The entire cycle can be completed within 3 to 10 days, but the export credit can be rolled over the period of around 120 days. The banks give credit for the entire term of 120 days, usually at lower prime lending rates for exporters, and this loan can be easily used by the exporter to lend in the market at higher interest rates. Many gold exporters have made a fortune by raising such cheap loans and rolling it over while the gold consignments round trip multiple times a year between a tax free country (like Dubai) and India. The foreign trade policy in fact allowed this to happen. The loophole was thoroughly exploited till last year when the proverbial thing hit the fan with some people achieving turnover of Rs 40000 crores a year. It has been made a little difficult now with the coins exports of 24 carat being disallowed under advance license scheme. A similar modus operandi can be (and were) set up for round tripping of diamonds in the name of diamond cutting and polishing. Not many government agencies know what goes on within the services sector, especially in the IT and ITeS areas. The nature of the business cannot be penetrated easily by untrained. This makes it easy for the operators here. For trading across borders in this area, the IT service firms raise an invoice in the name of firms abroad, which is endorsed by an official from Department of Electronics (DoE) on a form known as SOFTEX and the money is realized into the banks against this form. The RBI gets the realization report from the Banks through their EDPMS and this aggregated data is used as services trade statistics. There is at present no other (or better) services statistics in India. While some services such as transport, erection and maintenance etc leave physical trail, IT services are a black box. Most IT services are provided online, and payment is received against it through normal banking channels (or parked abroad if need be through under invoicing). IT being a vast area, it is difficult to assess the exact value of the services provided. While rough indications such as manpower required, man hours engaged, size of firm etc., may be used to determine the value of software services provided, it is still an inexact science as the underlying value of service is a function of intellectual property and skills involved. Therefore the DoE officer who assesses the invoices for accuracy is in a precarious position. Going by the market intelligence, it appears that SOFTEX forms gets endorsed blindly without any penetrating verification. This makes the fake IT services invoicing a heaven for hawala operators. If you want to get a million dollars into India, the easy thing to do is to bill a service exports for that much. Once the money is in, deep bookkeeping practices may be used to cover up any profits and taxes. Ditto for imports of IT services. Services firms can also be opened and closed at will. This modus operandi might also wane with cyrpto technologies kicking in. Other than these, there are Hawala operators who try to find ways to launder the money internationally through methods such as opening shell companies at tax havens and coming back through equity participation routes. As technology progresses, newer methods will evolve, right from complex mechanisms of crypto-currencies to simple startup capital appreciation scams. It's a cat and mouse game between investigating agencies and those who wish to break the rules. The solution is to strengthen institutional mechanisms (e.g better central bank oversight, better technology and software integration) to counter such frauds and speedier judicial process to bring the culprits to book. “We pay a tremendous tax to get into their countries — motorcycles, Harley-Davidson — it goes into a certain country. I won’t mention the fact that it happens to be India, in this case,” the US President said, amidst laughter from the audience. “And a great gentleman called me from India and he said, we have just reduced the tariff on motorcycles, reduced it to 50 per cent from 75, and even 100 per cent’,” Trump said in an apparent reference to his last week’s conversation with Prime Minister Narendra Modi. “If you are Harley-Davidson, you have 50 to 75 per cent tax, tariff to get your motorcycle, your product in. And yet they sell thousands and thousands of motorcycles, which a lot of people don’t know, from India into the US. You know what our tax is? Nothing!” he told the lawmakers and his Cabinet colleagues. Interesting. What do the numbers say? 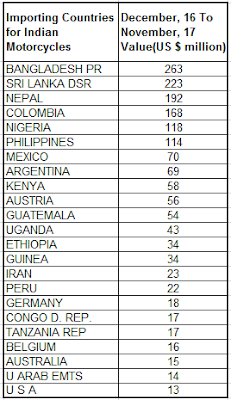 Below is the table of Motorcycles exports from India (all capacities) for the latest one year of available official data, arranged in decreasing order of value. 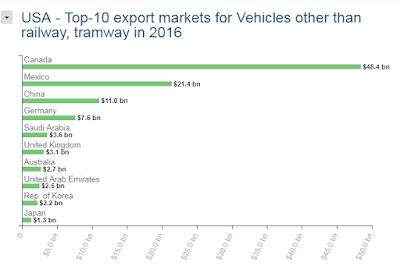 India roughly exports around 1.5 Billion USD worth of motorcycles per year to the world. 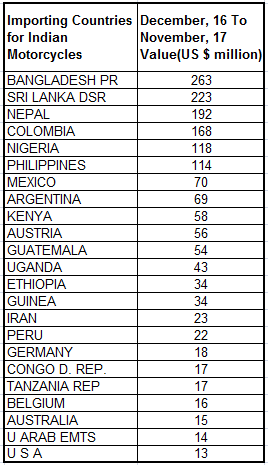 USA imports less than 1% of our total exports and appears at No. 22. Trump is right to that extent. India can send only a few thousand motorcycles for that sum. The zero duty at the US Border doesn't appear to help Indian motorcycle exports. There is a reason. We don't (yet) manufacture leisure/sports motorcycles of the capacity range that US citizens like to ride. 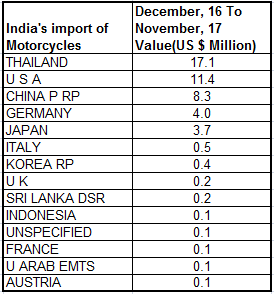 India's motorcycle imports figures are shown in table below. USA comes second to Thailand. India imports roughly 45 Million USD worth of motorcycles from the world. Of this, around 25% come from USA. For that sum, again the number would be a paltry few thousands. We have a free trade agreement with Thailand directly, and also through Indo-ASEAN route. Thailand enjoys preferential tariffs in some capacities (heavier ones) of motorcycles. That advantage shows. Otherwise USA is doing quite well for the 100% tariff it claims to have suffered all these days. 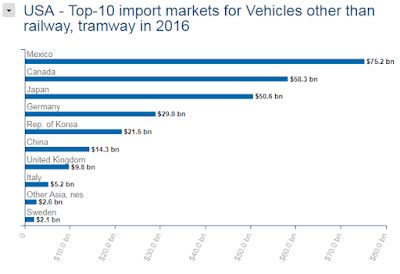 With reduction in import duties, we may see a spurt in imports of motorcycles from USA. That's what the great gentleman from India was trying to impress over phone. Nevertheless there is a point in what US President said. Auto sector in India is a success story. Indian Auto sector was able to organize, represent, negotiate and resist sudden opening up during the initial days of liberalization. It exposed itself gradually and grudgingly. This was one of the factors which led to a strong auto sector. The auto sector is still one of the most protected sectors in India. This is an enviable position for any negotiator, including US President. Arvind Panagariya calls the recent duty hikes by the Government as "Return of Protectionism". This rise of customs duties in the budget has come on the back of similar hike on electronic items such as mobile phones during December 2017. It gives a feeling of protectionism being in the air. However, it might not be so. - Revenue collection is not the only purpose of recent duty hikes. It is done with an intention of supporting domestic industries - Panagariya (mis)quotes Adhia in the article to support his claim. - He says that going by the past experience, the supposed benefit to domestic firms who are licensed to manufacture locally doesn't materialize. He gives the example of protected small scale industries of India which never picked up competitiveness behind tariff walls. - He states that regulatory hurdles are more responsible for lack of growth of domestic industries and hence these need to be addressed over imposing import duties. Therefore, he concludes that we should learn from past and not heed to protectionism. Panagariya's argument has merits. 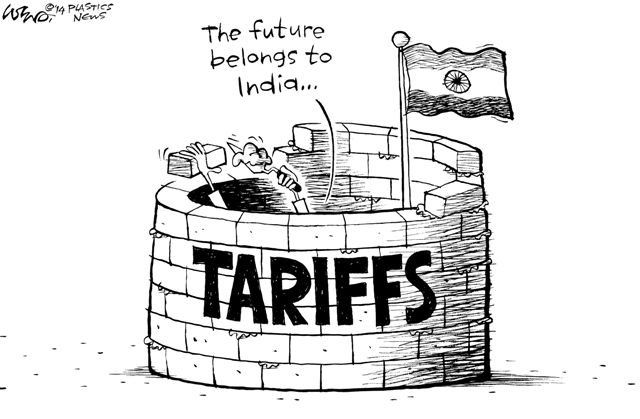 I had earlier blogged about how the cartelised steel industry's tariff hike tricks have hurt the Engineering and Auto sectors of India. Panagariya has argued on the same lines. However, his argument misses some points. - Many duty hikes in the budget are to remove the anomaly of inverted duty structure. When Mr Adhia stated that he would 'increasingly put more duties on final products', he was actually referring to this anomaly (Panagariya seems to have missed the point). For example, if a finished item has three components, and if the duties on the components are more than the finally assembled item, the consumers would prefer to import the finally assembled item over importing individual parts and assembling them locally. The local assembly shops would then shut down. Therefore, logic dictates the lower value added items to have lower duties over higher value added or finished goods. Many duty hikes in this budget, for example in the automobiles sector and other finished goods, was with an intention to remove inverted duty structure problem. There is nothing wrong with this. If India wants Foxconn to set up an assembly shop for cellphones here, the import duties on individual electronic parts should be less than the duty on the assembled cellphone. Otherwise it's economical to assemble the cellphones abroad and ship them to India. - The argument that our industry should be opened up to the world to face the competition and rise up to the occasion is jaded. In a world where everyone follows rules, the natural comparative and competitive advantages would ultimately prevail. However, this is not an ideal world. China is not an ideal competitor. I had blogged earlier as to how Chinese used the currency as policy tool for a considerable time. China's credit policies and government support programs are at a different scale altogether. Let's be realistic about our industry's ability to compete with an unfair competitor. Therefore, we need to protect till a certain scale is established. Electronics hardware manufacturing sector is a game of economies of scale, and we are not there yet. Merely blaming a bad ITA-1 agreement wouldn't help. We need to undo the damage. While support programs such as M-SIPS help, some amount of protectionism at this point is not a bad idea. Hence we need to look at the duty structure which this government is doing. - The move won't hurt digital India as claimed. People who are pained to see a costlier iPhone due to recent duty hikes forget that it is less than 1% of our population that looks forward to buy anything priced at that level. And that elite 1% has demands that are price inelastic. Knowing this, Apple has simply marked up the prices already. The elite group won't bother if the iPhone is priced at Rs 87000 or Rs 90000. Panagariya mixes up the broad Indian consumers with this elite group. The cheaper models of smartphones, the ones that are actually being bought by the broad consumer segment, sell from 3000 to 7000 rupees and the impact of hikes on them would be mostly absorbed by the producers, given the competition here. It won't hurt digital India as Panagariya predicts. - My understanding is that the tariff lines of items (kites included) that suffered duty hikes recently are mostly the ones that required such hikes for two reasons. 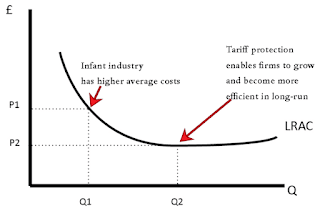 First, they were hurting our domestic industries with high employment potential (footwear, toys etc) and second, they are mostly the finished products with inelastic demand behavior or with inverted duty structure. Finally, Why is Mr. Adhia wrong? Mr. Adhia is defending his move with half a heart. There appears to be some intelligent thinking that has gone behind the duty hikes. It is not merely broad-banded protectionism of the 1960s, but a thought out industrial policy. He should articulate it so. 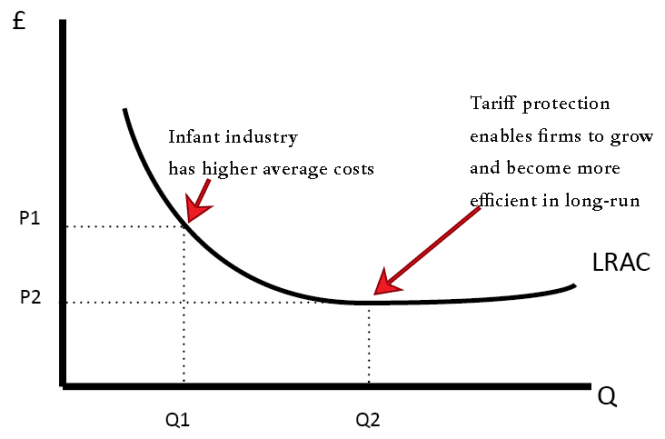 An industrial policy can have a mix of incentives and duty walls to protect and grow a fledgling sector into a behemoth. Against a Washington consensus view, Mr Adhia should throw back employment generation and infant industry arguments. However, one cannot fault him for being misquoted. This blog has been a vocal advocate of globalization and free trade policy in the past. However, this support is conditional. I had elaborated earlier as to why it's not a good time for further opening up for India. The current argument, as outlined in the letter from IRS officers association, that DGFT should be brought under finance ministry ends up taking a parochial view of the role and functions of DGFT. The letter seems to equate DGFT to few export promotion schemes where some 'duplication of work' happens leading to confusion to trade and revenue loss at times. It is important to understand two things here, so that we may broaden the view and analyse the matter armed with more information. One, DGFT is not just about export promotion schemes. It has broader mandate, of industrial development, trade promotion, industry-government interface for trade matters, central-state link for commerce departments, field arm for data collection, and international trade dispute resolution, facts that the letter misses and which I shall elaborate later in the post. Second, it is important to understand what this 'duplication of work' the letter refers to, as the crux of the letter lies in pushing for minimizing it by bringing DGFT under MoF. Under duty nullification schemes of Foreign Trade Policy, mainly the Advance Authorisation scheme, the process entails issue of license for duty free import of inputs by DGFT and the registering of the same at Customs through furnishing of a Bond. After imports and exports, and forex realization, the trade submits the details to DGFT which issues an Export Obligation Discharge Certificate (EODC). Then the trade goes back to Customs for release of Bond completing the process. There are three or more departments (and not two as the letter says) - DGFT, Customs, Banks, and sometimes erstwhile Central excise - involved to run this scheme. There is certainly scope for minimizing this running around. However, there is no duplicity of work. Someone has to issue a license, someone has to register and let the exports/imports be conducted, someone has to certify forex realization, and someone has to check and strike off the export obligation. Same goes for another scheme called Export promotion capital goods (EPCG) scheme. Among the departments, there is a digital bridge (or multiple digital bridges to be precise) which does the work of information exchange, mainly the online transmission of details of licenses, eBRCs, and shipments. This digital bridge is prone to bugs for various legacy reasons beyond the scope of this post. Even this adds to lack of ease of doing business. Merely subsuming DGFT under finance ministry would not solve the problem unless process restructuring, including digital revamp, is taken up. This process restructuring of the schemes themselves will determine how the organizations should be aligned, be it banks, licensing authorities, or the customs. It would be premature for any association to lobby one way or the other. The correct thing to do, for those with ease of doing business at heart, is to recommend a study on the topic. That the government did, with a Frost and Sullivan winning the contract for such a study during last two years, and the recommendations are still not public. As far as I understand, the study consulted wide range of stakeholders including Customs, Exporters, DGFT, specialists, and also did an international comparison of similar schemes and organizational structures. The letter conveniently forgets that at each stage of the fraud, except for issue of IEC, Customs department is involved (registering IEC at ports, bank details taken by customs for drawback, letting under/overvaluation go undetected, issue of drawback amount and such). Therefore, what appears to be a systemic problem of non detection of fraud during commission cannot be attributed to lack of training of DGFT officials. If that logic holds, then we have to go back to IT department that issues PAN cards as DGFT issues IEC based on PAN and Bank certificates. However, while alleging so, the letter brings the function of DGFT to fore. DGFT's agenda is export and trade promotion and not investigation and enforcement. When CCI&E was rechristened to DGFT in 1991, the entire outlook changed. It has been more than 26 years since that happened. That brings me to the current role and responsibilities of DGFT. A mere glance would tell that these functions do not belong to the domain of revenue collection or finance ministry from any stretch of imagination. - Trade policy making, quantitative restrictions, MEP/MIP, trade in sensitive items (SCOMET) etc. The broader mandate for all the above lies with commerce ministry. This is so not only in our country, but internationally too. Most leading countries have an arm of commerce department which fulfills functions similar to DGFT. For those interested, one may refer my colleague's (Moin Afaque's) blog post here to see some examples. International trade and its associated policy-making is an involved process, and it needs a certain legacy and experience to master and reach certain level of maturity for any institution. Therefore the allocation of business rules of Government of India has kept functions of DGFT integrated with commerce. DGFT is well knit into the commerce ministry's departments (WTO, TPD, RMTR, DGTR etc) and is an important arm. It is the only field presence of the ministry, devoid of which, commerce ministry loses its official listening posts in the field. How, then, does one make a case for moving DGFT to MoF? I wonder. Finally, institutional restructuring is an involved process. It is worth taking up only if the benefit to the nation is more than the costs involved. The letter seems to fail to make a strong case regarding the benefits and has not touched upon costs. Blaming another agency for some revenue loss is not sound argument. It needs to do better than just that. Edit1: Some comments on this post below make some very pertinent points too. I have reasons to believe that Indian merchandise exports suffer because of unnecessarily strong rupee. The rupee strength is derived from the fact that we are accumulating reserves due to net inward flow of foreign currency through capital inflows, services earnings, and huge remittances from expats abroad. 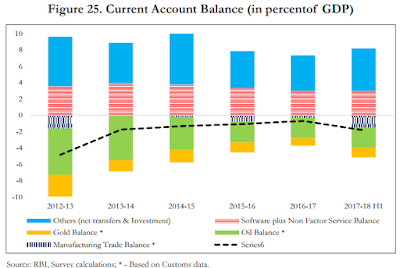 We maintain a significant current account deficit on merchandise trade (roughly 200 Billion USD), and if other inflows were absent, this deficit would have ideally weakened the rupee. 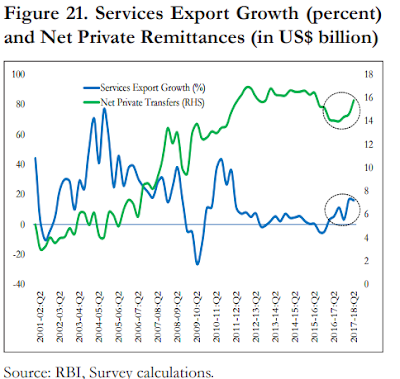 A strong service sector earnings, with high remittances flowing in, when clubbed with other capital flows into India, buoy the rupee up and make the manufacturing sector uncompetitive. 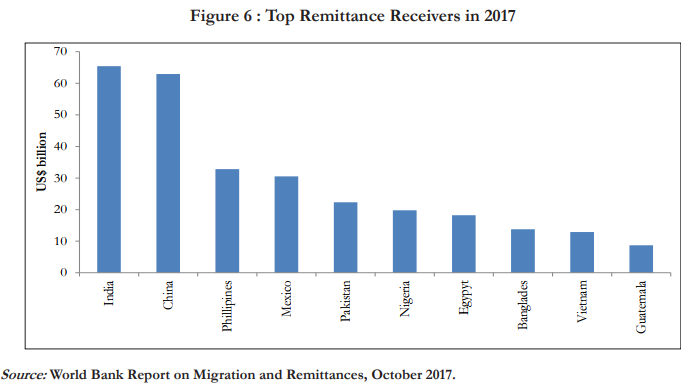 It is kind of dutch disease syndrome where the remittances and services are harming manufacturing competitiveness. Roughly, I feel that we are at a disadvantage of around 10 to 15% of adverse currency strength from the merchandise exports point of view. The approximate level for competitive merchandise exports from India would be around Rs 75 to 80 per USD against the current level of Rs 63 to 68 per USD. 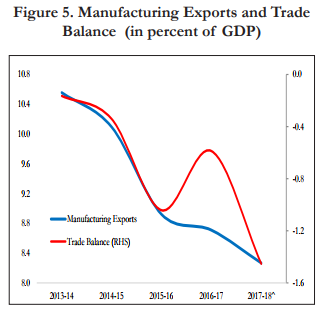 On this point alone I would go with Mnuchin and say that a weaker rupee would be welcome for India's manufacturing sector. 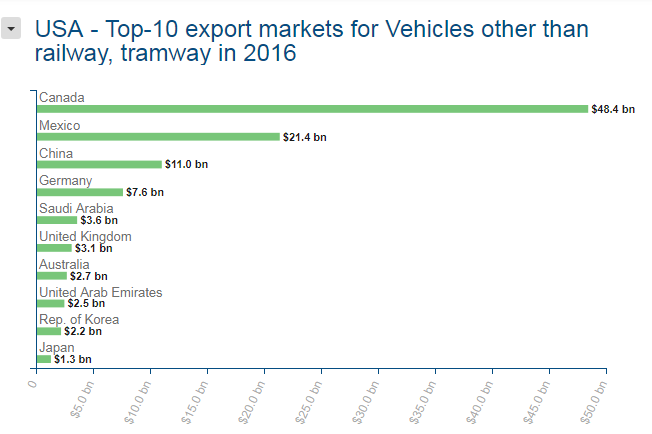 Stage 1: Massive increase in exports revenue due to one sector leading to temporary appreciation in real exchange rate. (mostly sudden discovery or exploitation of natural resources such as oil/gas/minerals in classical cases). In India, similar effect is being created by a combination of high capital inflows (FDI, remittances), and earnings from a booming services sector. The following figures are self explanatory. This is leading to appreciation in real exchange rate in India. Stage 2 Effect 2: Assuming no intervention in exchange rate by the government, inflation might kick in due to higher spending/consumption ability of the population that earns through the boom sectors (services, remittances). This effect is similar to loose fiscal policy in a way. Stage 3: Wages decline in real terms in other sectors (manufacturing), input costs go up (inflation effect), selling price across borders go down for non boom sectors (such as manufacturing) and they start to recede from world market. They produce less and employment in this sector starts falling, as shown in figure below. 2. Resource movement - When booming sector (services) share factors (labour, bank loans) with non booming sector (manufacturing), the resources may start moving from non boom to booming sector. Anecdotally, I had moved from a product manufacturing company during 2006 to a services company doing engineering analysis for this very reason: the booming sector paid better. Apart from this, there is also a price and wage increase in non-tradable sectors. Imagine a software engineer paying more for a haircut or vegetables in Bangalore. The behaviour of software engineer would affect a retiree who might be surviving on his pension. Ideally, this phenomenon should bring more barbers and vegetable vendors into the market, and it does, leading to wage increase in the remaining labour pool. It might not work in that simple a way, but overall, when people have buying power due to booming earnings, it does affect the local economy. For India, additionally, I believe that we are facing acute shortage of trained manpower in the manufacturing sector due to a void in the vocational training programs. This is an additional drag factor. The skill India movement therefore needs more encouraging push and generous policy support. To sum up, I hazard a guess that India is facing a situation where our manufacturing sector is facing Dutch disease due to strong currency arising out of services and remittances on one hand, and wage increase and skill shortage on the other hand. We need to overcome this issue through clever means. I shall discuss the same in a future post. US treasury secretary Steven Mnuchin said recently that he backs a weaker Dollar. He said that a weaker dollar is good as it relates to trade and opportunities. This comes on the back of US corporate tax reforms (rate reduction and other) with a solid backing of America first thinking. Mnuchin was quick to add that when he says America first, it includes working with the world; it's just that America happens to be the biggest market and trade partner for most of the countries. The move has been criticised by experts and columnists. The main criticism has been that the US treasury secretary has given wrong signal to the markets at a wrong time. Last time they did that, to threaten Japan against a weak Yen during Clinton administration, they took almost two years to get out of the depreciation hole. A strong currency indicates the strength of the US. As Dollar happens to be the reserve currency of the world, it's important that the credibility through strength is maintained. USD has depreciated almost 10% since Trump took over, tax cuts are supposedly going to push investments, employment is at near maximum, interest rates are comfortable, and at such times the last thing needed is further depreciation of the dollar. Or so the experts opine. I feel that USA has woken up to the potential of currency as a trade manipulation tool a bit too late. They should have done is much earlier. They have been the good boys of the trading world for far too long. China has taken them for a ride for decades, and has now given up on that game, well almost. 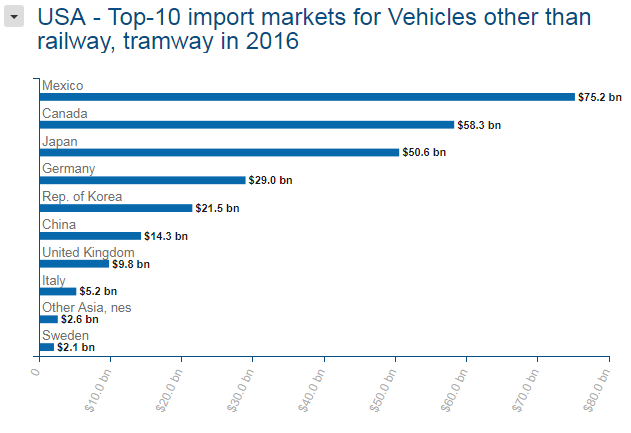 I had blogged earlier about how China has intelligently used currency as a policy tool to boost manufacturing and exports. The strong currency leading to credibility as reserve currency is a jaded argument. There are hardly any choices for reserve currencies today. And a little bit of depreciation won't hurt. Not many would rush to Ruble or Renminbi just because dollar gets quoted at a discount. 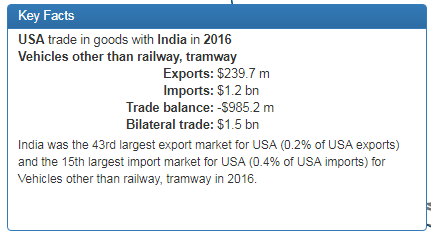 Now that USA might have a self inflicted depreciation of dollars, where would it leave India's exports to US? 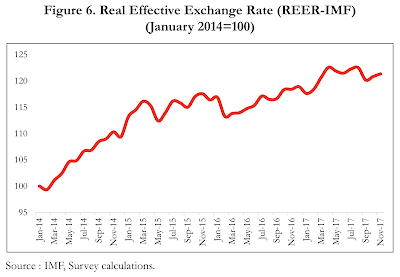 The economic survey indicates that the Real effective exchange rate (against a basket of currencies) has strengthened over period of time. The USD has gained vis a vis Rupees reflecting the same trend. This means exporting to USA won't be that easy. A little digression here is warranted. 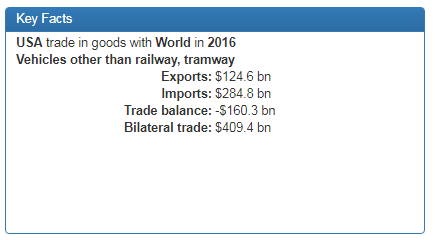 I have reasons to believe that Indian merchandise exports suffer because of unnecessarily strong rupee. The rupee strength is derived from the fact that we are accumulating reserves due to net inward flow of foreign currency through capital inflows, services earnings, and huge remittances from expats abroad. 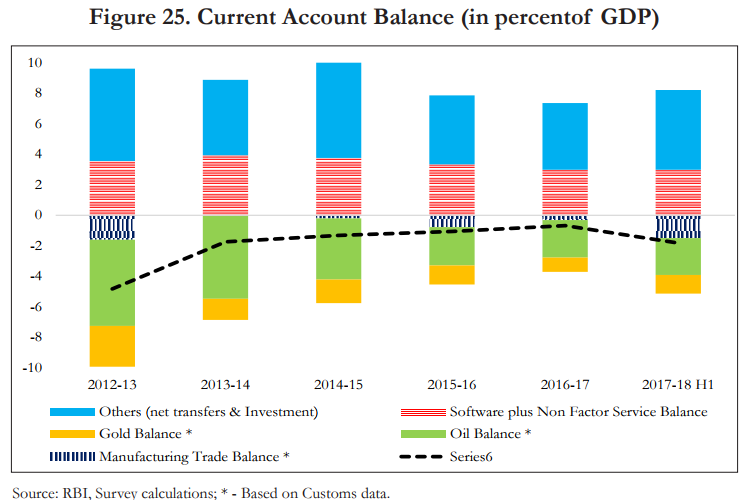 We maintain a significant current account deficit on merchandise trade (roughly 200 Billion USD), and if other inflows were absent, this deficit would have ideally weakened the rupee. A strong service sector earnings, with high remittances flowing in, when clubbed with other capital flows into India, buoy the rupee up and make the manufacturing sector uncompetitive. 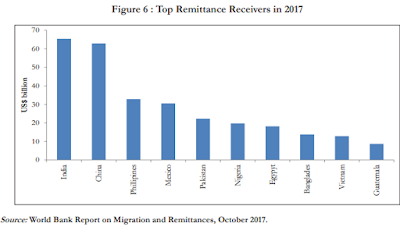 It is kind of dutch disease syndrome where the remittances and services are harming manufacturing competitiveness. Roughly, I feel that we are at a disadvantage of around 10 to 15% of adverse currency strength from the merchandise exports point of view. The approximate level for competitive merchandise exports from India would be around Rs 75 to 80 per USD against the current level of Rs 63 to 68 per USD. On this point alone I would go with Mnuchin and say that a weaker rupee would be welcome for India's manufacturing sector. Lest I be misunderstood, let me add here that controlling exchange rate of Rupee is no longer easy. Currency manipulation is indirectly manipulation of interest rates. 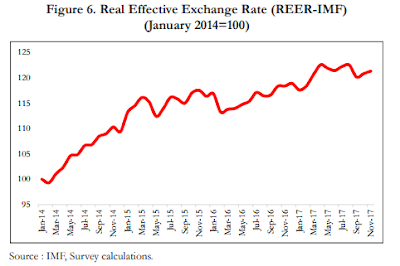 By having a inflation targeting mandate, RBI has lost currency manipulation as a policy tool, as our experience during currency defence of 2013 would attest. 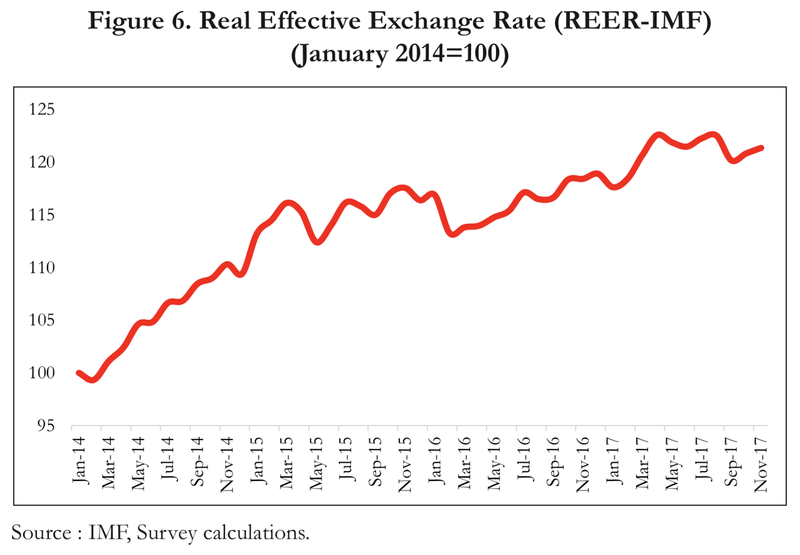 We have a significantly deep overseas rupee currency trading market, and we cannot unilaterally change the underlying strength of the currency through domestic market manipulation. RBI's writ is limited in this area. While huge forex reserves do give a short term weapon for some currency volatility management, it cannot be a sustained strategy any longer. Given the above, competitive devaluation of our currency can occur through public investments through easy fiscal stance. While this may shoot up inflation by a bit, it is still a risk worth taking given that our monetary sector is in a bad situation to take up any fresh lending. Through fiscal easing we would not only revive the economy but also might end up depreciating our currency. Another way of spending money would be to subsidise manufacturing exports. It's not that bad an idea after all, given that economic survey 2018 establishes causal link between subsidies and export performance.